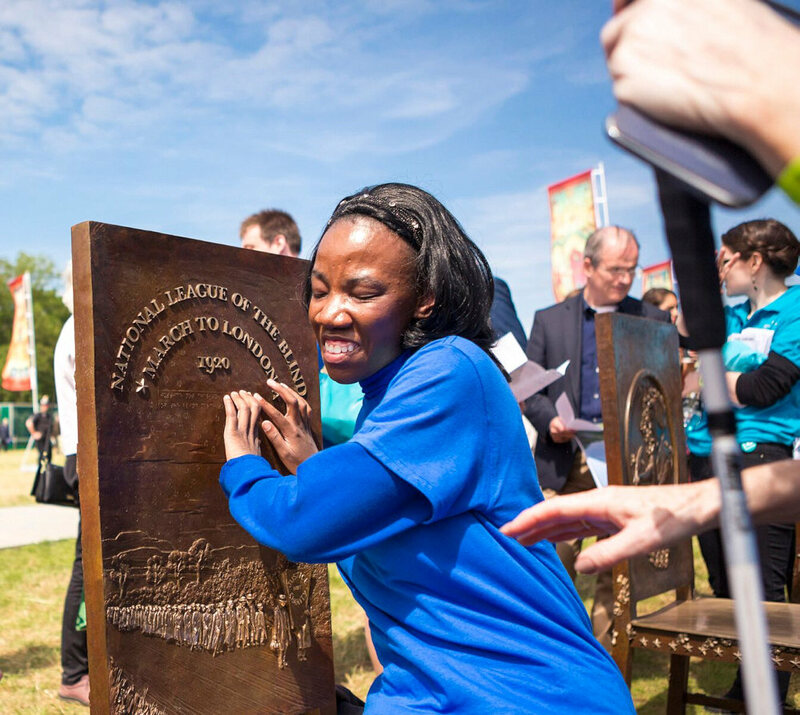 On 15 June 2015, The Jurors was revealed for the first time as part of an international gathering of thousands of invited guests to mark the 800thanniversary of the sealing of the Magna Carta at Runnymede. To mark this occasion, Owen Sheers, poet, author and playwright was invited to write a dedication for the artwork, to be performed at the event. A film (below) was screened on site, depicting the performers emerging from the surrounding landscape of woodland, roadways and riverbanks. ‘Or in Any Other Way’, 2015 from SituationsUK on Vimeo. ‘Or In Any Other Way’ directly references the content of The Jurors and follows the form of Oscar Wilde’s Ballad of Reading Gaol. On 15 June, each of the performers recite a stanza while approaching The Jurors. 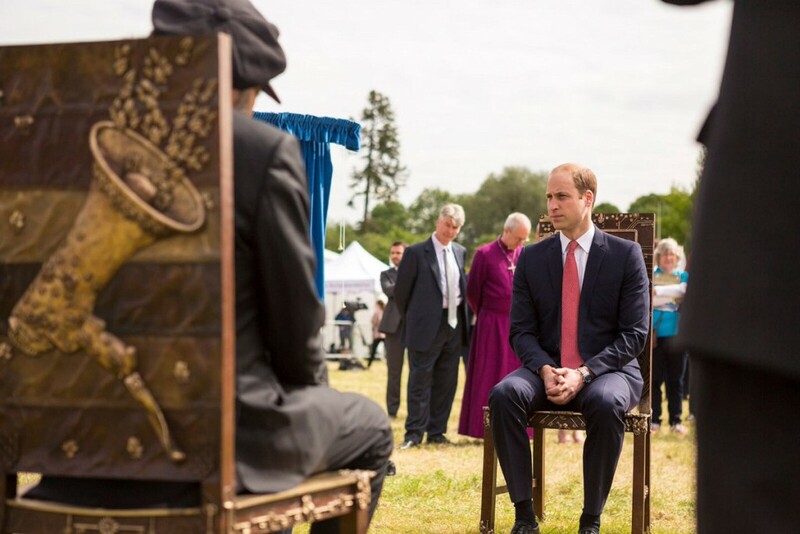 As they assembled at the artwork, the final stanza was recited by the group in unison before they took their seats, eventually joined by heir to the throne, HRH Prince William. The sound of footsteps approaching from many directions. The sound of a boat cutting against a river, wheels on a rough road. Each speaker recites their verse while approaching the artwork. All continue advancing after they have spoken, forming a tightening ring around the artwork. A young black woman emerges from the trees. have the power to give. A young black man comes into view. that once was feathered fair. who will hear, who will care? An Asian woman appears along a path. and those still yet to be. as much as in the ‘see’. A man in a wheelchair approaches down a road. without the words to vent. A Burmese woman comes into view. the fear of what is said. A man appears from thick woodland. the best that makes us royal. A refugee emerges from a boat moored on the river bank. in spite of what we’ve done. applies to half of us? a gain become a loss. A South African man approaches. He holds a partly shredded document. A black man walks along a fence. and in their death, revive. when torn they still survive. so in the darkness, thrives. A young man emerges from the American Bar Association monument. and speech has set us free. how then does Justice see? Another young man appears from the woods. all we sought, can now be found. are grown from ‘Us’, hand-spun. and this is how it’s won. All the speakers converge upon the artwork. As they reach the bronze chairs, they recite the final lines together. and this is how its won. and in a thousand tongues. All the speakers, in unison, sit on the chairs.